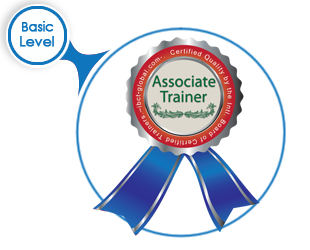 International recognition as a qualified trainer (AT). It is your professional path to the training profession. The IBCT Training License Card. The right to use the IBCT Associate Trainer (AT) Hallmark in all printed and virtual matters. Listing your name & credentials to the international ‘AT’ Directory on the IBCT website. Enjoying a one year of eCoaching. Access to the IBCT LinkedIn professional group. Experienced trainers who have not had formal education in training. Experienced trainers who want to enhance & standardized their didactic skills. Discuss the concept of training and development and its importance as an investment. Realize training as a profession. Manage the main cornerstones of the training process. Decide on and apply the suitable didactic methods that best achieve training goals. Deal properly with difficult and challenging behaviors. List the professional trainer competencies and responsibilities. Design and present effective training PowerPoint presentations. Recognize the value of the individual difference in the training context. Appreciate the role of training and development in achieving corporate goals. The program is evaluated according to the first and second levels of the Kirkpatrick model per run. 8032 IBCT Certified Trainers are Already Developing their Organizations. Join The Most Empowering Train-The-Trainer Programs in the World! Be the Change Agent that your Organization Looks For!